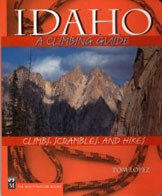 Climbing information for this p2k peak is found on pages 99 to 100. The latest official elevation for this peak is 9,420 feet which replaces the prior 9,393 measurement. As you will read below there is a question about whether this peak or She Devil is the highest peak. Both peaks now have official measurements of 9,420 feet. He Devil is a great peak and worthy of your attention even if it is not the highest peak in the range. 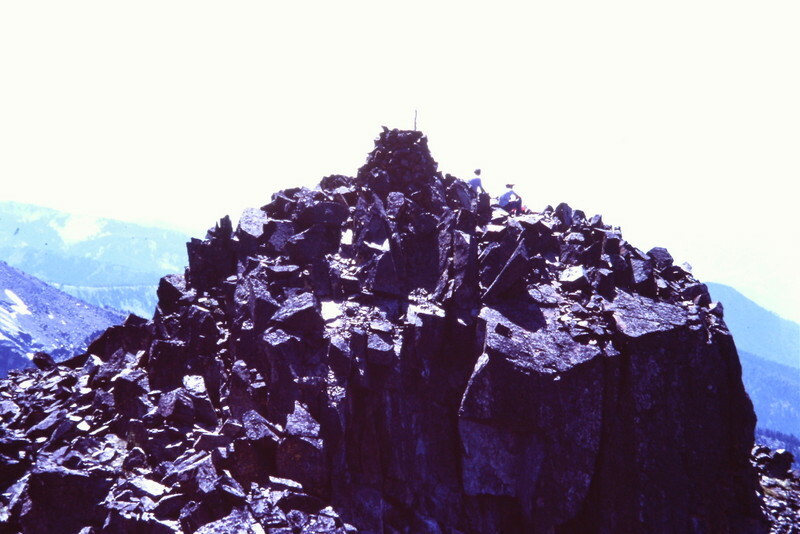 The summit of He Devil. 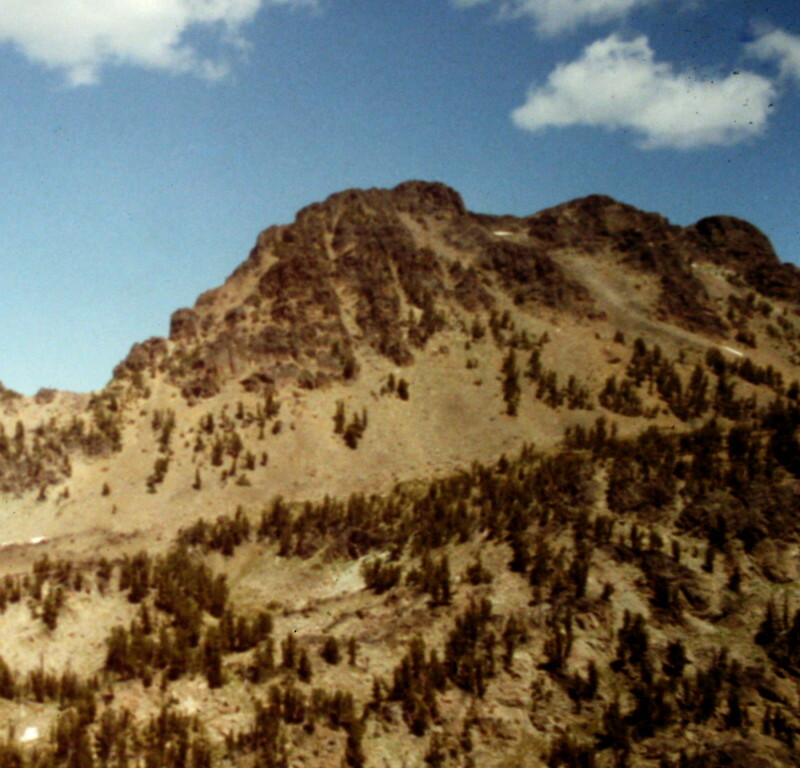 He Devil viewed from near Mount Belial. KEN JONES OF NEWCASTLE, WA. writes: He Devil/She Devil (July 24, 2001). Your description of the route from the col up the east ridge of He Devil was not enough for us to follow it in reverse. But it’s a complex route, and I’m not sure I could describe it better. A more important point is the elevations. The latest (7-1/2″) USGS quad shows both peaks at 9,400’+. Our sighting back and forth could not determine which was higher, though I thought He Devil might be by a foot or so. 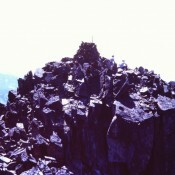 It is not clear that He Devil is “the highest Seven Devils summit”.